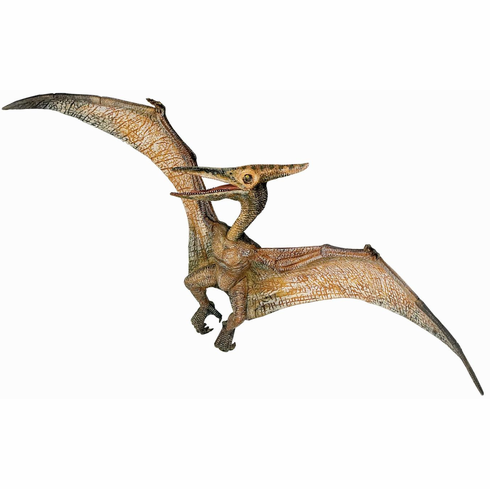 The Papo - Pteranodon measures approximately 3.5 inches beak to toes with a wingspan of 9 inches. Technically, the Pteranodon isn't even a dinosaur, but the general public so often thinks of it as a dinosaur, that everyone just treats it as one. In real life, a Pteranodon could have a wingspan up to 20 feet. The Papo Pteranodon is part of the Dinosaur Series by Papo.